Hiring managers size you up in a lot of different ways during an interview, including how you physically present yourself. 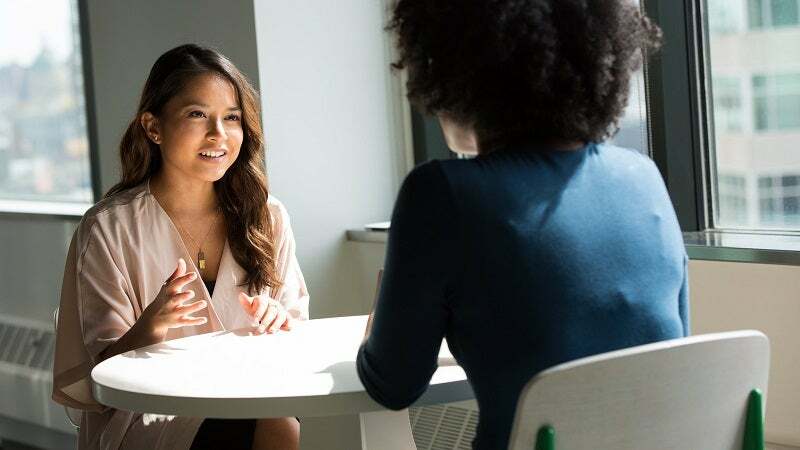 A recent US nationwide survey of over 2500 hiring and human resource managers found these body language mistakes hurt your chance of landing the job the most. Photo by WOCinTech Chat. You need to look comfortable, but not too comfortable. When it comes to your body language, look at the person you're talking to, give them a smile, keep your hands to yourself, sit up straight and get your anxious energy out before your interview so you don't fidget. Other bad body language cues included crossing your arms or touching your face. Don't forget to mind your body language during video interviews too. You may not be in the room with them, but they can still see you. You can find more interview mishap data at the link below. Smiling is the one thing I can't fake. I've got no idea how people can smile on command - I just look like I'm in pain.